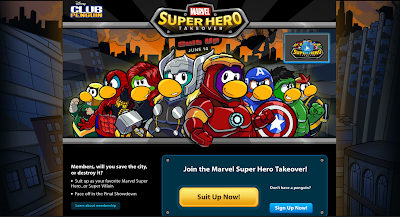 Club Penguin Cheats by Mimo777 Club Penguin Cheats by Mimo777: Club Penguin Super Hero Party Site! Check it out! 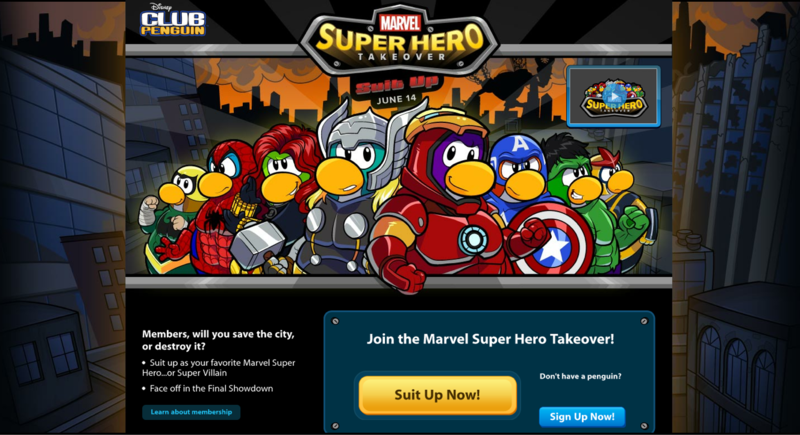 Club Penguin has made a whole wed site for the Super Hero Party! First on the home page there is a video you can watch HERE! 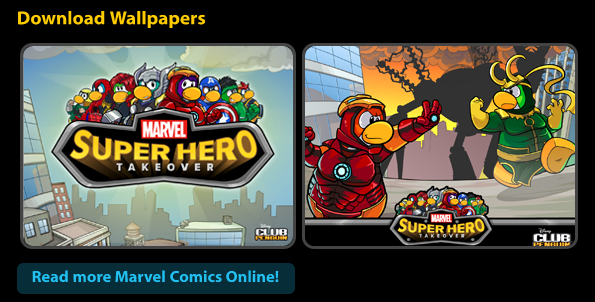 And if you scroll down you will find "About the Super Hero and Villain Costumes"! If you would like to visit this site click here! So go to the site, and tell me you favorite super hero costume is! I hope non members can get those or save the day! The party is gonna be sick awesome!! My favourite "hero" is Wolverine. But he isn't on this site. We don't have any of those costumes. There's just one set of good guy blue and one set of bad guy green. Are we supposed to be able to get those at the party? Spiderman isn't in the AVENGERS. And they missed out on Hawkeye. I wish that there were more villain costumes, but I ain't complaining. Can't wait to buy the Iron Fist costume! My favorite superhero would have to be Deadpool or Hawkeye. Whos Hawkeye? Does he look like Thor? Please dont respond to this comment with bad attitude. thanks.